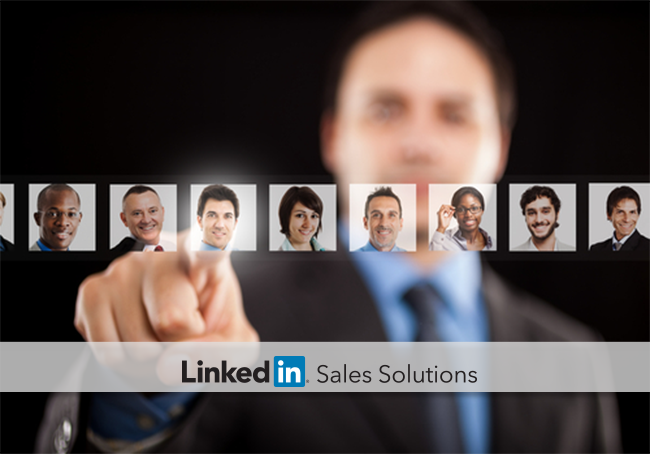 Learn LinkedIn Advanced Search tips that will help to improve your sales lead generation results. Two sales pros devote the exact same amount of time to prospecting. Yet, one finds way more prospects and they are more qualified. Why? You probably already guessed that the more successful prospector is working smarter. And you can, too. Read on to discover LinkedIn Advanced Search tips that are sure to improve your sales lead generation results. 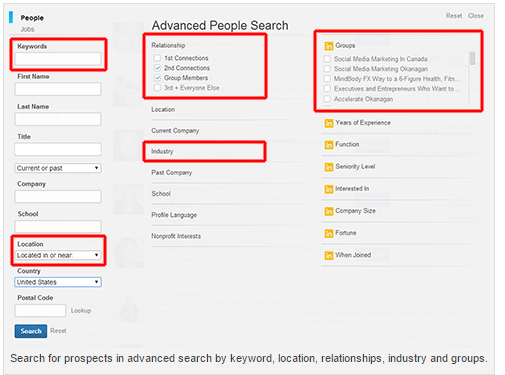 There are a seemingly limitless amount of field and filtering combinations you can use to find people on LinkedIn. But that doesn’t mean searching needs to be complicated. If you are just getting started, try using a few basic variables that are likely to generate qualified sales prospects. Remember, you can always refine your searches later. For example, if you sell a technical solution to financial services companies you may want to list a few common titles or job descriptors of your sales prospects in the “Keywords” field (below). You can also add specific job titles in the “Title” field. Visit the LinkedIn help page for more information on performing basic searches, advanced searches, and using Boolean advanced search operators that can help to increase your search effectiveness. When it comes to sales lead generation, it pays to be creative and opportunistic. Has your company developed a new product or feature that opens the door for new prospecting opportunities? Are there partnership opportunities where you can collaborate with sales professionals at other companies to build new relationships? Are there upcoming events where pre-event prospecting can help you gain more from your attendance? Reps focused on new business who exceed quota perform 52% more people searches per month. How can you use LinkedIn Advanced Search to beat your number this year?